The town transfer station will accept brush from residents free of now through June 30. The brush will be accepted during normal business hours, 7:30 a.m. to 4:30 p.m. Monday and Friday-Sunday. Standish Veterinary Hospital will hold a rabies clinic from 5-6 p.m. April 24 at the Standish Municipal Center, 175 Northeast Road. The cost is $10 per pet, cash only; checks will not be accepted. Bring your pets’ previous rabies certificate. Cats must be in carriers and dogs on leashes. For more information, contact Brandon Ruel, 415-7359. 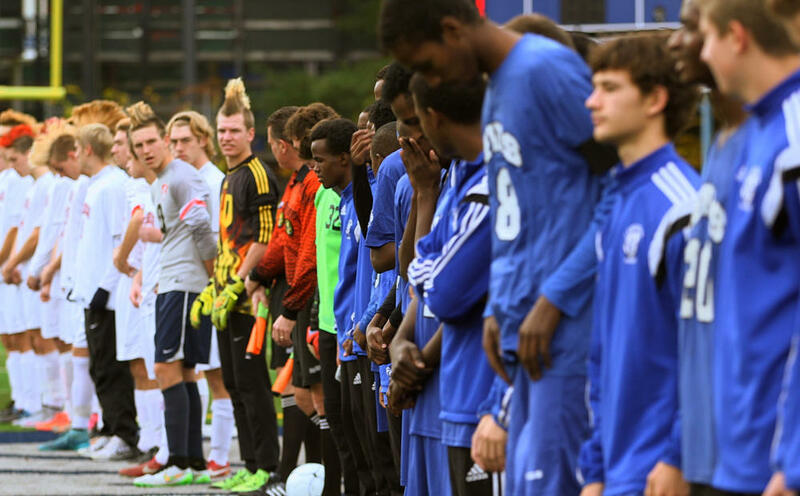 Saint Joseph’s College will host a free screening of the documentary “One Team: The Lewiston High School Blue Devils” at 3 p.m. Monday, April 8, at the Viola George Auditorium. The documentary follows the Lewiston High School soccer team on their journey to the school’s first state championship title. Throughout the film, the team, made up of a diverse group of players from six different countries, overcomes cultural and physical obstacles on their path to victory. Following the film, the documentary’s producer, Tom Deschenes, and the team’s coach, Mike McGraw, will host a Q&A session. For more information, contact Mike Connolly at 893-7939. A weekly strength training class will be held at the Standish Municipal Center on Thursdays at 5 p.m. beginning April 11. Personal trainer Amy Kilburn will teach exercises with lightweight dumbbells or body weight to reduce chronic pain and increase body strength. The cost $54 per person with a $12 drop-in fee for those not registering in advance. For more information and to register, visit standishrec.com/info/activities. Two weekly yoga classes are available throughout April at the Standish Municipal Center. The first, a 6:30 p.m. class, begins Thursday, April 11. A daytime gentle yoga class will begin at 9 a.m., Saturday, April 13. The cost is $54 per seven-week session, or $12 for a single class. For more information and to register, go to standishrec.com/info/activities. Standish Recreation’s vacation camp for K-6 kids will be held from 7 a.m. to 6 p.m. April 16-19. Activities include sports, crafts and field trips. Children should bring a lunch, snacks and a water bottle. Registration before Sunday, April 7, is $125; after April 7 the cost will be $135, space permitting. For more information and to register, visit standishrec.com/info/activities. The documentary “One Team” follows the Lewiston High School soccer team through its first championship season. It will be shown at Saint Joseph’s College Monday, April 8.